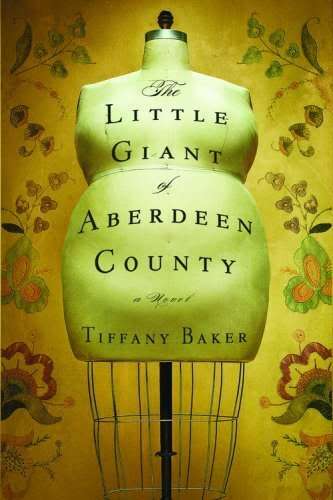 About a year ago, I read and reviewed The Little Giant of Aberdeen County, a novel by Tiffany Baker. I first saw this book advertised in the NY Times Book Review, and the unusual cover and title caught my attention and interest instantly. Today I'm quite honored to have the opportunity to present an interview with the author, and to host a giveaway for her book, which has recently been released as a paperback. 1) Welcome, Tiffany! Your debut novel, published in 2009, is one-of-a-kind, an offbeat but thoroughly engaging story about the life of a giantess, Truly Plaice. Please tell us about the inspiration for your book. TB: Everything started with Truly. I knew I wanted to write a story about an outcast woman in a small town, but when I began trying to tell Truly's story, her voice came through the ether as a BIG voice. And that seemed like a problem for a woman who was outcast. So then I thought, why not make Truly physically big? Why not make her so big that no one even wants to look at her and she becomes invisible for all intents and purposes? And things took off from there. Truly became larger than life, and I found my novel. 2) Your book is a tale of two sisters, beautiful, petite Serena Jane, and Truly, abnormally large, who came into this world at the expense of her mother. The contrast between the sisters is marked, and makes us think about inner and outer beauty. How--or why--did you decide that height and size, and beauty, would play an important role in this story? TB: It seems to me that so much of our crazy and materialistic culture is so intent on shoving women into little boxes when it comes to issues of identity and beauty. Why are so many women getting breast implants and plastic surgery? Why do so many young girls develop eating disorders? Why are there so many diets out there? In a world where things are increasingly photo-shopped and airbrushed, it seems like women are supposed to erase all the individual, weird traits about themselves and try to mold themselves to fit some marketing target. It makes me really mad, frankly, and I think it ultimately makes women terribly unhappy because they're losing the most unique and irreplaceable parts of themselves. In some extreme cases, you might even say they're losing their souls. I really hope that when women read this book they can go on Truly's journey of self-discovery with her and maybe reclaim some of their own inner beauty on the way. I know I did in writing this book. 3) The story features the use of herbs as remedies from nature. How did you get interested in herbal healing, and how did you go about researching this? TB: I did a lot of reading, both in books and on the Internet. It seems to me that as we make tremendous medical advances, we're also losing touch with the humanistic purpose of healing. All medicines originally derive from plants, after all, and once upon a time, all medicine was herbal. In the novel, the first Robert Morgan comes along and wrests the business of healing away from the local wise-woman, Tabitha, whom he later marries, and I wanted to show this transition from a folk-centered, womanly practice of healing to a more masculine and rigid practice. I wanted to show how that process is sometimes violent and also what is lost when we ignore the heart and simply pay attention to the intellect. While I was writing this book, a number of people in my life died from illnesses--in some cases totally unexpected ones--and I was shocked by how central death is in life. Everyone goes through grieving at one time or another, and we all struggle with our own mortality. Yet again, however, our culture seems to take such great pains to ignore this. We focus on staying young, staying fit! Looking our best! That's not to say we shouldn't be healthy, but I think our larger culture is in serious denial when it comes to what people go through when they die. 4) Early this year, your book became a NY Times bestseller! This must be very exciting to you, and give you extra validation as a writer. What does this mean to you and your future as a novelist? It was a dream come true for me to hit the NY Times list for a week, and it gave me a taste of what that can mean for a writer. Yes, it's totally validating because when you write novels, you spend long amounts of time locked alone in a room, and you're never really sure if you're ever going to connect with anyone. I'm so pleased to know that Truly's story is touching readers. She deserves the attention. As far as my future goes, well, let me put it this way: I promise to keep telling the best stories I can, and I hope people will keep wanting to read them! 5) How do you manage motherhood with your writing career, and what advice do you think is especially important for mothers who would like to write professionally? Honestly, I have absolutely no good answer for this question. If anyone out there knows the secret to juggling working with mothering, please get in touch immediately! It's a total carnival. When I'm on a deadline, laundry piles up, the family eats take-out, and I skip soccer games. I just try to surf through it all, and deflect issues as they come up. That being said, I love my family. They make me aware of how fragile life can be. I still can barely watch my littlest one trying to learn to ride his bike, and don't get me started on having to say goodbye on the first day of kindergarten. Having kids has made me so aware of how astonishingly deep the roots of love are sunk in all of us, and this is a very useful lesson for a novelist. If you want to write while raising kids, I'd say it's important to take yourself seriously. Maybe you're only going to have an hour at a time, but make it YOUR hour. Lock the door. Leave the house. Sneak out if you have to. Ask for help from family and friends. If it takes a village to raise a child, I sometimes think it takes one to write a novel, as well. Also, learn to overlook the spilled milk, lint under the sofa, and that stack of pesky, unanswered mail. 6) Tell us one thing about yourself that may surprise or even shock us. TB: Well, normally I'm pretty boring, but today--and I'm not even making this up--the supermarket caught on fire while I was shopping. Really. There I was, buying cucumbers and strawberries, and suddenly the store just started filling with smoke. I sighed, grabbed my bag out of the cart, and promptly left. This makes the third fire I've been in. The other two times were in hotels. I've gotten really good at responding to theses situations now. If you're in a hotel and it catches fire in the middle of the night, remain calm! Make sure to put on your shoes, grab your coat and purse, take your computer if you're a novelist, and hustle to the nearest exit. Everything else is negotiable. 7) Please tell us about the book you're currently working on. TB: It's a novel set in a salt march on Cape Cod, and it's about three women, two of them sisters, who all have a history with the same man. The first woman was his childhood love, her younger sister marries him, and then there's the pregnant teenaged mistress. It's juicy, it's atmospheric, and yes, fire is a theme. Thank you for your questions, and thank you for featuring The Little Giant of Aberdeen County. I wish everyone out there lots of happy reading adventures! Thank you, Tiffany! It's been a pleasure to learn more about you. Terrific news! Newman Communications is offering a paperback copy of The Little Giant from Aberdeen County as a giveaway (U.S./Canada only). Enter by 5 PM PDT on Thursday, May 13. The winner will be selected randomly and announced on Friday, May 14. Good luck! Thanks to Tess from Newman Communications for arranging the interview and book giveaway. Wow, it's amazing that Tiffany's been in three fires. I hope I never experience one! No need to enter me. I've heard great things about this book. Please include me in the giveaway and thanks for the great interview. I totally agree with Tiffany about all the negative information given by the media to women, young and old, about their bodies. Having a teenage daughter, it's all I can do to try to keep her mind in the right place about herself and her body. It really is maddening and sad that women are assaulted day after day with these unrealistic pictures and articles that make them feel so bad about themselves, when in reality, all women are different, and should embrace those differences. Wonderful guest post Suko! No need to enter me in the giveaway, as I just bought this book a couple of weeks ago!! I agree whole heartedly that society tells us women we need to look perfect and it really sets us up to lose. I would love to win a copy of The Little Giant! The upcoming book sounds interesting as well. What a great interview and I have heard wonderful things about this book and would love to win a copy! What a super interview. I have not read this book yet but I am so excited to do so! I really really enjoyed this interview ... though remind me never to stay in a hotel where she is staying! It seems like it would be dangerous. 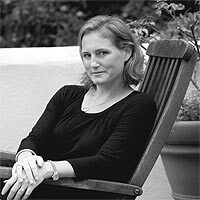 I like hearing her thoughts on balancing motherhood and writing. I think you do have to value what you do ... and have faith in yourself. Great job on both ends! I loved this book (so no need to enter me in the giveaway), and this is a great interview. I'm glad to hear Tiffany is working on another book! Oddly enough, my daughter texted me from middle school today--because there was a fire at school! I don't have the details yet, except that there were fire trucks and they had to go outside. I've been wanting to read this book since I first read a review of the hardcover edition. Count me in please! I've been interested in this one. I love a good book about sisters. I've heard fantastic things about this book. Great interview! The relationship between Serena Jane and Truly sounds interesting. Oh my gosh about the supermarket fire! Thanks for the interview. please enter me in the give-away. I also follow. I've read some great reviews on this book. Thanks for the giveaway. I'd like to read this book. The synopsis is intriguing.